People tend to stick by their choices even when confronted with reasons to change. Who knows why — maybe it’s pride, or confirmation bias. Do we go down with our ship because we stubbornly believe we’ll be proven right or our fortunes will change? Either way, the result is the same. Our goal in business is to thrive, not fail. We need to see the writing on the wall, make course corrections when necessary, and know when to let go of strategies or solutions that aren’t taking us where we need to go. Your CRM is a classic example of a software tool that’s outlived its usefulness. Not because CRM solutions are in decline. (In fact, the opposite is true.) Rather, some solutions overpromise and underdeliver, update too slowly, don’t address your use case, are a Jack of All Trades, Master of None… there comes a time when you’ve got to cut the cord. Bite the bullet. Pull the trigger. (Choose your metaphor.) 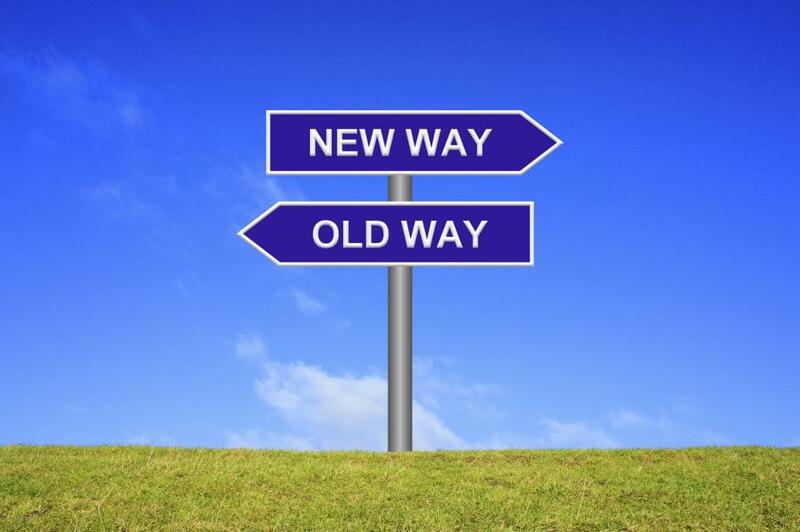 In other words, ditch your old CRM and find a new one. Check these scenarios below. If any of them sound like you, it’s time to change your CRM. 1. 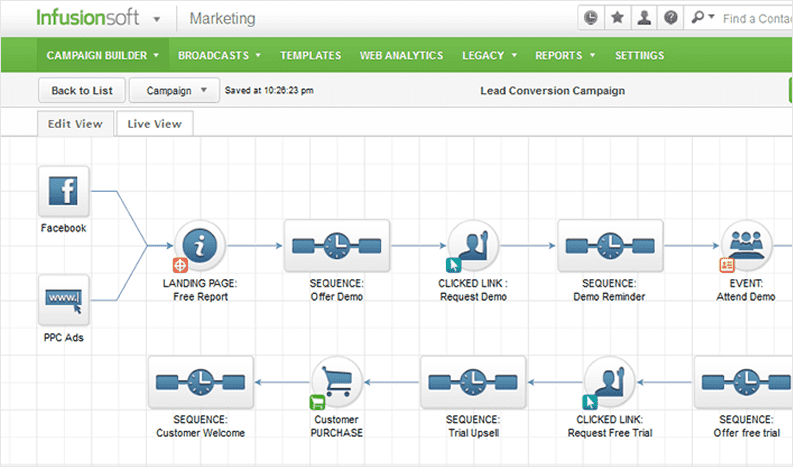 Your CRM lacks your sales channels. 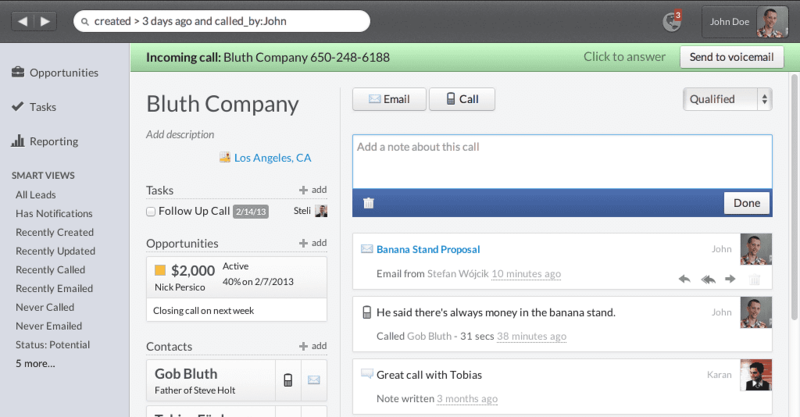 You need to manually log emails and calls in the CRM. Communicating through the CRM is buggy. 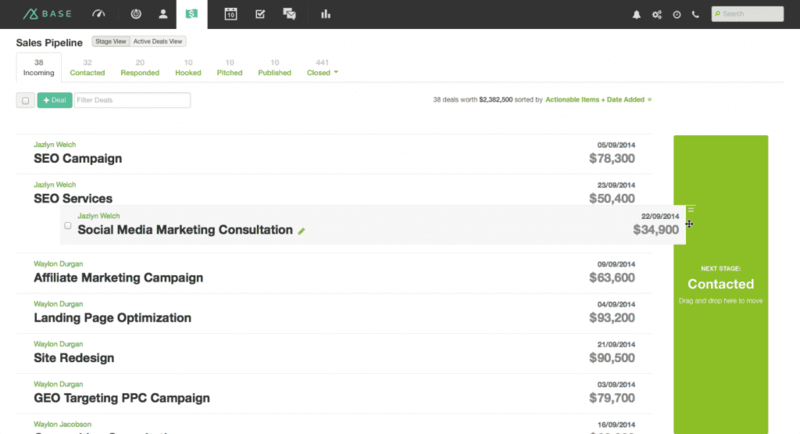 The CRM doesn’t have the call, email, or SMS features you need. What to Look for: Many CRMs integrate communication channels with features like automatic logging, tracking, custom notifications, reminders, and specific features for certain roles, like inside sales. You’ll need to determine which channels are essential to your sales process. Do you need email marketing? Are your reps cold calling? Then shop for solutions whose functionality matches your requirements. A Tip: Base is a great solution with two-way email and SMS integration. It’s also an excellent mobile app. 2. Your CRM data is inaccurate. A high degree of manual data entry. Redundant data can be entered in multiple formats (New York, NY, N.Y.). An absence of clean data protocols, like audits or deduplication. Employee apathy towards CRM data integrity. What to Look for: Newer CRMs can reduce data entry — and thus, frustration — with contact importation, auto-completion of contact profiles, CRM automation, drag-and-drop interfaces, or simply a well-designed UI. Look for CRMs that are highly rated for user experience, which should lead you in the right direction. A Tip: Close.io is great for inside sales teams in terms of minimal data entry and an effortless user interface. 3. Your employees aren’t up to date on deals. The CRM lacks custom notifications or broad enough custom criteria. Notifications are limited to email and lacks desktop or push. Individual users have no control over notifications and tune them out. 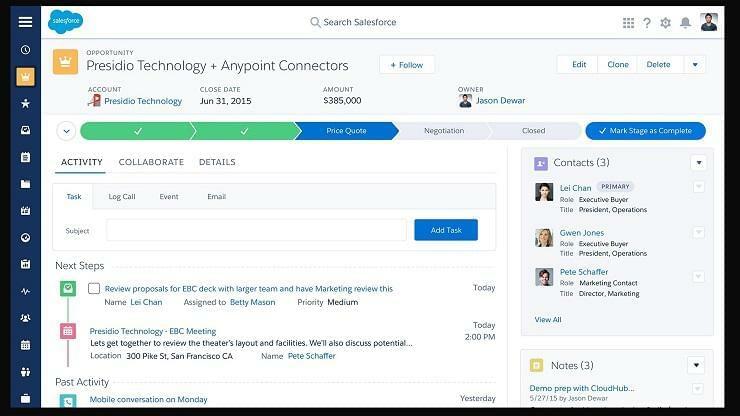 What to Look for: Look for a CRM that allows custom notifications on a wide range of criteria, which allows individual users to opt-out of specific ones. You might prioritize a solution that provides desktop or mobile push notifications if your employees typically work at their desks or if they bring their work on the road. A Tip: Pipedrive has great pipeline management tools, including custom notifications for specific events and deal health. 4. Your employees are constantly frustrated with it. All high-level decisions using CRM data rely on the people who use it daily. If your salespeople express constant frustration with the CRM, this could be due to a few reasons. An overly complicated solution that requires extensive onboarding. Unstable or buggy software in which features don’t consistently work. A clunky interface that slows down their workflow with tedious clicks. What to Look for: Look for solutions that are transparent about their uptime and highly rated for user experience. If technical training is an issue, compare vendors based on their onboarding packages. You may need to pay extra for it, but the higher baseline of expertise it grants your team, and the resulting improvements in data integrity and productivity (not to mention quieting the litany of complaints) will prove worth the investment. A Tip: Nutshell is a sales solution highly regarded for its customer support and one-on-one onboarding. 5. You want fewer features and more depth. 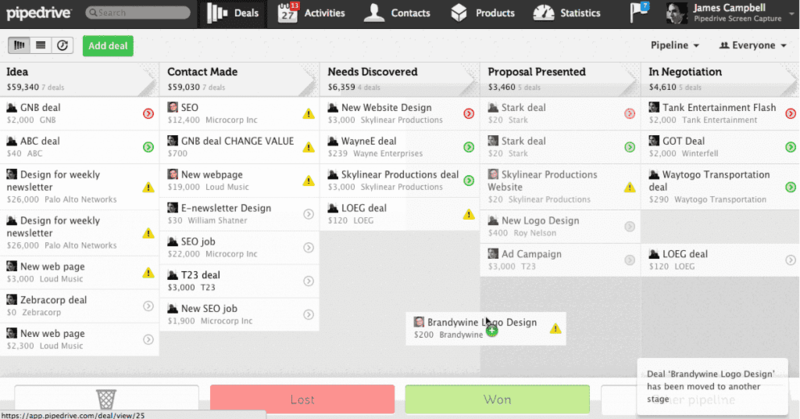 You find yourself using third-party apps to replace features built into the CRM. Features not marked ‘beta’ have a long list of complaints in user forums. The platform is unstable and results in lost data, time, and effort. What to Look for: Find solutions that understand its core competency and does it well. Some solutions span disciplines, but these are usually product clouds from enterprise vendors or products tailored for specific industries, verticals, or firmographic criteria. Alternatively, you could look for an open source CRM with configurable modules offering the specific functionality you need. 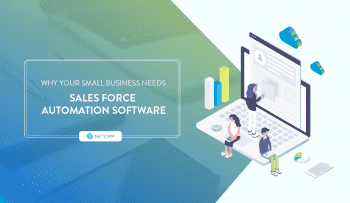 Certain solutions offer aligned sales and marketing functionality that can be further extended through integrations, automation tools like Zapier, or by developer APIs. A Tip: Infusionsoft and Ontraport provide powerful solutions aimed exclusively at small businesses and entrepreneurs. Check out our comparison article between the two. 6. Your social media activity is handled entirely outside the CRM. You find yourself reacting to social media activity rather than getting in front of it. You are unaware of your most important contacts’ and leads’ social media activity. You’re constantly switching screens to handle the company’s social media. What to Look for: Of course, this section depends on your social media needs. Some CRMs include social integration by auto-completing contact profiles, detecting social media accounts, providing a real-time feed of accoune activity, alerting users to specific social activities, or providing web-to-lead forms or DM-to-lead. If you use a social media monitoring tool like Hootsuite, you can look for an official integration or find a workaround using Zapier. 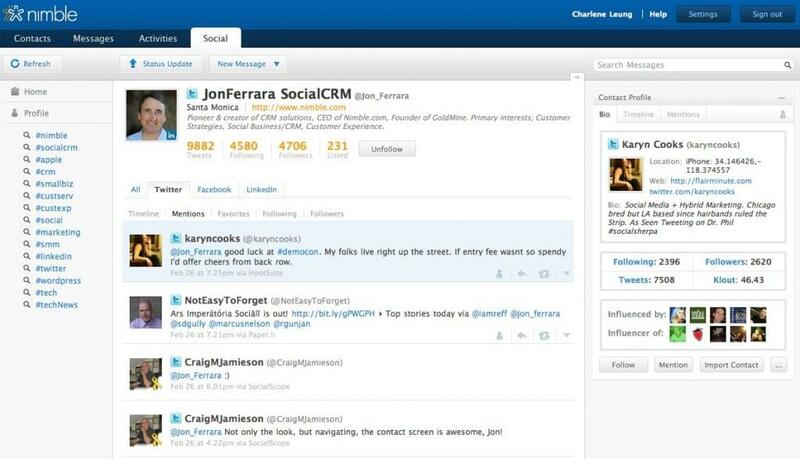 A Tip: Check out Nimble for a highly regarded social CRM sales solution (which integrates into many conventional CRMs as well). 7. You need integration with more third-party apps. CRM reports don’t include data from your third-party tools. Data from third-party apps needs to be manually entered. Your CRM activity cannot be directly exported to your most-used tools. What to Look for: Check out solutions with broad libraries of official integrations, which provides some assurance the integration is reliable. To build integration on your own, there’s Zapier; you might also take the plunge (and stomach some development costs) with an open-source CRM with functional modules like Bitrix24. A Tip: It’s to be expected, but Salesforce has a massive library of managed and native integrations that spans platforms, industries, verticals, and use cases. 8. You need better return on your investment. You don’t know where your revenue is coming from — not only campaigns, but specific organizations. Your sales forecasts are off — way off. You don’t have a clear sense of progress to your goals. What to Look for: You’ll want to look for solutions that offer custom reports. Typically, SaaS CRM vendors offer ‘standard’ reports at low- to mid-tier subscriptions and ‘advanced’ ones from mid-tier to upper-tier. You might also see advanced reports sold as an add-on. The standard functions are often simple dashboards and sales KPIs while advanced reports might offer custom KPIs and better visualization tools. You can also consider CRMs based on integration with third-party reporting tools. 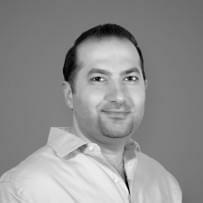 In addition, you may want solutions with proven success for businesses that match your industry or firmographic profile. If you’re having doubts about the solution, contact the vendor — they’re usually willing to help, as it’s in their interest for you to succeed. A Tip: Zoho CRM offers considerable reporting tools to track sales growth and ROI. No solution can please everybody, but a great portion of these problems arise when salespeople feel the CRM is keeping them from doing their jobs. When it’s time to change your CRM, here’s a rule of thumb: identify your use case and choose a solution with high ratings for user experience. Sell the solution to your team, onboard users thoroughly, deputize power users to onboard the skeptics, and incentivize common usage. 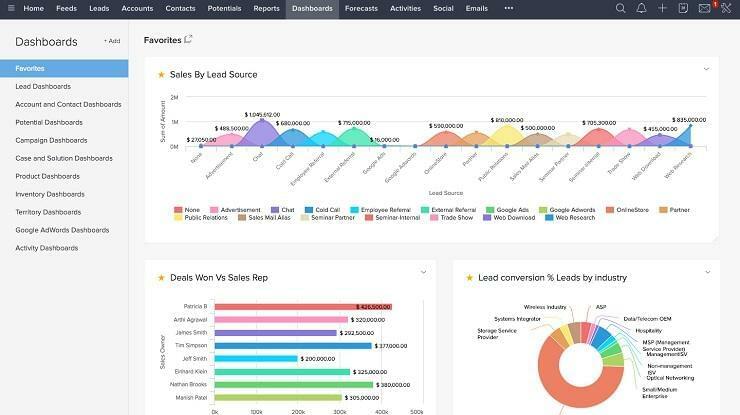 Looking for a sales CRM? Check out our page comparing sales automation solutions.